Thompson advocates for overnight camp not just because it’s an appropriate challenge for kids, but also because it’s a fundamental rite of passage that cultivates resilience and self-reliance—a couple of qualities that parents can’t really give or teach. But for a lot of kids, trying out sleepaway camp for the first time is a leap. All kids are different, and it’s a good idea to reflect on how far your child has grown into their resilience and self-reliance up until now in order to decide whether they’re ready for the next big step: a session at an overnight summer camp. If you’re wondering whether your child is ready for overnight summer camp, the great news is that it isn’t just a “yes” or “no” question. There are answers and options to suit your child even if they are in between—ready to open up to the camp experience, but not quite ready to dive into a full Resident Camp session. Is your child comfortable sleeping at grandparents’ or other family members’ houses? Are they comfortable sleeping over at friends’ houses? Do they go to school for more than 4 hours at a time and at least a few days a week? Have they participated in extracurricular activities like clubs or sports or scouts (in the summer or during the school year)? Do they look forward to these extracurricular activities? Does your child shower or bathe themselves? Has your child been to a day camp before? Are they open to trying new foods at least once in awhile? Does your child ask for help from you, from teachers, or other adults when they really need it? Do you trust your child to look after their basic needs at camp? 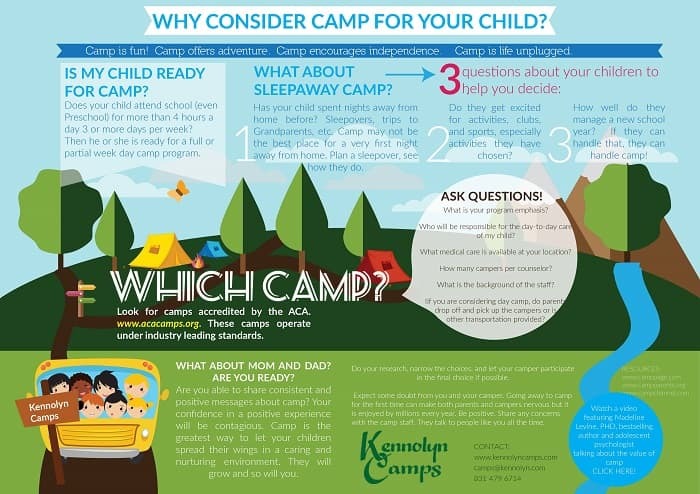 Download a printable quiz: Am I ready for sleepaway camp? Most camps have different kinds of programs like we do. Some programs don’t involve staying overnight at the camp facility; some do but for different lengths of time. And these programs exist to suit different families’ needs and readiness. Count up all of the questions you can say “yes” to in this list or the quiz that you print out. That tally can give you a clue as to which types of camp programs you’ll want to look into for your child. If your child still isn’t quite ready for sleepaway camp this year—maybe they need to practice with sleepovers a bit more—Day Camp is still an accessible option for kids who are used to attending school, even preschool. They will get to experience a diverse range of activities, as well as the summer camp community and culture, but they’ll still return home each night. If you or your child are on the fence about a full one or two weeks spent away at camp, Intro Camp may be the perfect option for just a few days (ours is two nights, three days). They’ll get an immersive feel for the active sleepaway camp experience without committing fully just yet. 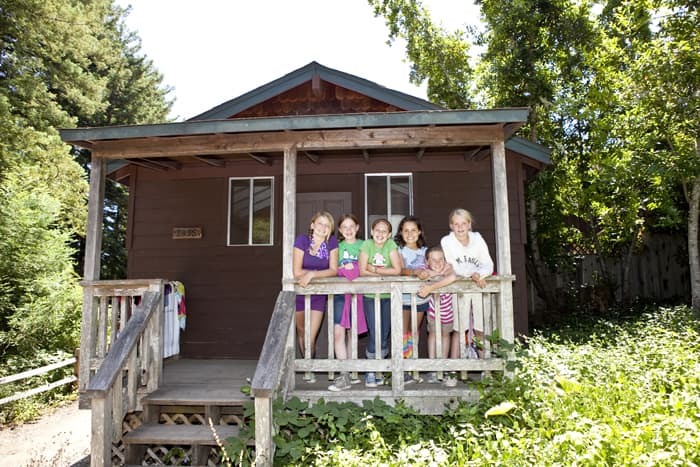 Plus, camps may offer a discount for those who return the following year as Resident campers—like we do. 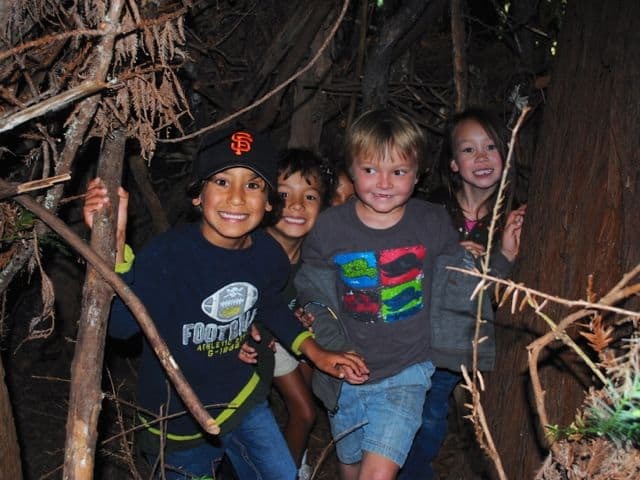 For kids who are ready for an extended overnight experience, one- and two-week sessions allow them to be immersed in the summer camp culture, traditions, and community. Kids can try out diverse activities they wouldn’t otherwise be exposed to, and they may even get to design their own schedules from the camp’s list of activities. Special traditions may include backpack camping adventures, s’mores and songs around the campfire, and talent shows. Older kids can even participate in leadership training programs and learn how to become counselors themselves. Every single one of these quiz questions represents a significant step in the direction of your child’s independence, so don’t jump to any rushed conclusions if you checked off only a small handful. One of the primary, foundational purposes of camp is to give kids real opportunities to grow into more of these strengths. So, let’s explore some of the nuances of these considerations and the real benefits summer camp can provide. If your child has spent the night over at their grandparents’ or a friend’s house and they got through the experience without begging you to come pick them up, it says a lot about their ability to adapt and settle into unfamiliar settings. Bedtime can be a vulnerable time for a lot of kids, and it’s entirely natural for them to feel some anxiety. If they haven’t already had a sleepover somewhere without you, give it a try and see how they do. Homesickness doesn’t have to be a barrier. Sleeping away from home is a really special opportunity for kids to explore independence and expansion. At camp, kids aren’t left completely to their own devices; they will be able to lean on counselors’ generous attention—for both practical and emotional support. But they won’t have you to look out for their needs and remind them to brush their teeth or change their underwear. Actually, if they’ve only ever known life with your reminders and with you identifying their needs for them, how will they ever grow into the self-awareness required to take care of themselves? If they absentmindedly wear the same shirt two days in a row at camp, they’ll be perfectly fine. The transition into responsibility and self-reliance is a gradual one, and it’s one they need to learn from experience—real solo experience. Summer camp can be a big step in that direction. Our campers’ unique strengths and vulnerabilities are what make our camp community so vibrant and connected. Some campers wear their enthusiasm right out on their Kennolyn-green sleeves. Others feel it inside and make connections organically through their small group activities and cabin families. A quieter or more reserved personality is definitely no reason to shy away from summer camp. Once again, the warm and welcoming camp community is the perfect place for kids to explore their evolving self-esteem and their role within a social environment. 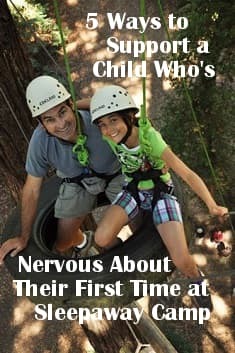 Does your child resist trying new things? Does the unfamiliar make them nervous? If you answered “yes” to either or both questions, that doesn’t mean they’re bound to have a difficult time at summer camp. Be open to exploring the reasons for their resistance and nerves. It might be that they just need a bit more tangible context for what they’re stepping into. When you ask if they want to go to summer camp, they might simply be struck by more questions, and not really know how to accept and explore their uncertainty further. It’s always a good idea to make a visit to the camp, so they can experience its three-dimensionality and get more in touch with the questions they really want to ask. Summer camp offers a whole new world of activities and experiences—so many that we’re sure every child can find their niche. Some kids just need a bit more orientation to help them open up to new and unknown adventures. If you were unable to check that you trust your child to manage their own basic needs, is your doubt coming from a true belief that they won’t be okay without you, or from a reason that is more personal for you? When we attempt to assess whether our kids are ready to take a step away from us and away from home, we tend to annotate and amend the otherwise straightforward questions. “Is she comfortable with sleepovers?” “Well, yes, but she really prefers it when I read a story to her before bed.” This would be an opportunity to have her pack a favorite story that she can pull out if she’s experiencing nerves or homesickness while at camp. But it’s not a reason to hold her back if she really is ready to explore her own abilities in a comfortable and supportive environment. Here, too, a parent’s anxieties are natural, and they’re accompanying a necessary rite of passage for your constantly evolving youngster. Their time at camp is your opportunity to miss them and to plan some time to take care of you. When Is the Best Age to Start Sleepaway Camp? It’s not so much a question of “is my child old enough for summer camp?” because kids evolve in different ways and at different times. If you can openly explore how far your child has grown already with certain skills and experiences, you can gauge honestly how ready they might be for the next fun and friendly life challenge at summer camp. And you can get an idea of the opportunities they haven’t had a chance to dive into yet. Those chances are the richness of life and the things that motivate us to learn more about who we are and where our passions and strengths lie. Even if you have some lingering doubts about your child’s readiness, here at Kennolyn Camps, we’re ready for diverse kids and challenges. We’re always here to answer your questions and help design the camp experience that will meet your camper exactly where they are. Reach out to us today.